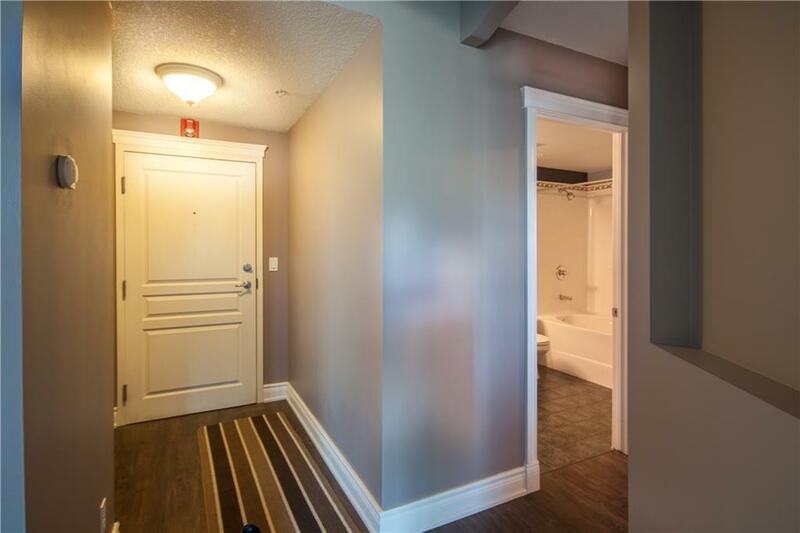 Almost 1000 sq ft. Live a regal lifestyle in this luxury, custom designed 1 bedroom with den. Super location with everything Kensington has to offer. 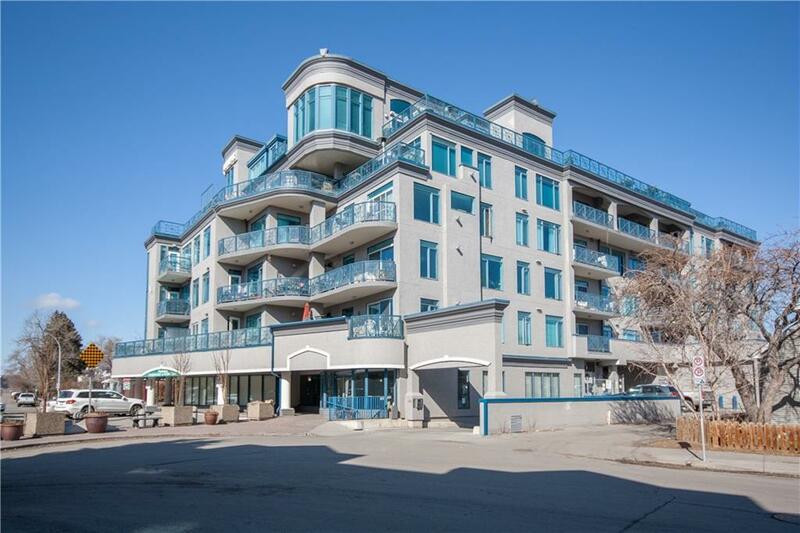 Close to shopping, LRT and walk to down town. 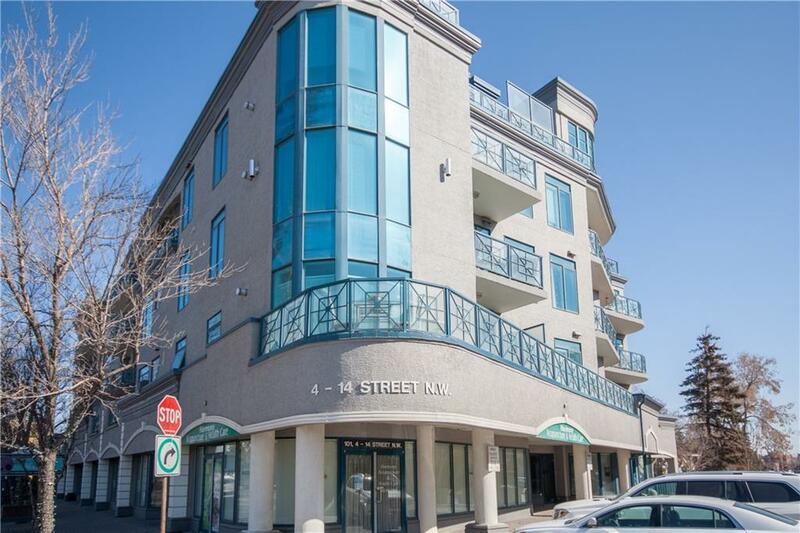 Excellent building management, low condo fees and a very healthy reserve fund make this well cared for apartment an attractive buy. 1 bedroom, 1 bath plus den unit is unique in its design. Open kitchen with updated cabinets, new backsplash and granite counters. Newer appliances (1 yr old). New luxurious vinyl plank flooring throughout. Generous dining space. Pass through French doors into a bright living room highlighted by a cozy fireplace. Lots of natural light through the large windows in this west facing unit. Large master bedroom with a sitting area and generous walk in closet. Main bath has quartz counters. Spacious laundry room. Exercise room on the main floor. Titled parking included in price. 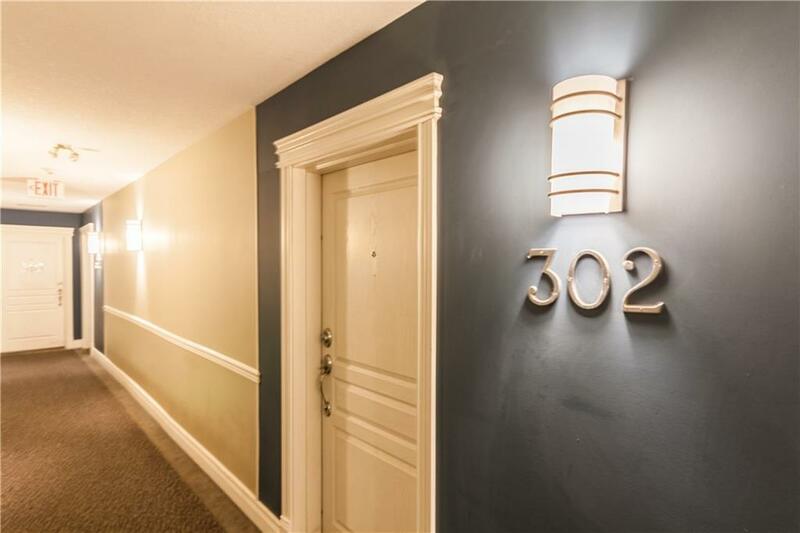 This unit is freshly painted, move-in-ready and a must see. Pets are allowed.